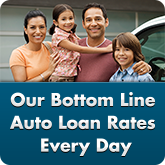 Get San Diego Auto Loans from Mission Fed. 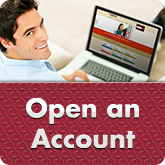 You can apply online or in any of our branches with the help of one of our knowledgeable loan experts. Our goal is to provide you with a Credit Union Auto Loan that gets you into the car of your dreams—while you still feel comfortable with your monthly payment. For Auto Loans in San Diego, you’re in the driver’s seat with Mission Fed. Check out our infographic on the habits of San Diegans car shoppers. Bottom Line Auto Loan Rates video on YouTube - Description: The speaker is a Mission Federal Credit Union employee and is standing in a Mission Fed branch. Throughout the entire video, they address the camera directly. Please use the YouTube captions functionality to access an alternative to the audio portion of the video. Apply for a Credit Union Auto Loan before you start car shopping so you can shop with confidence, knowing what size budget you're working with. We’ve partnered with Autoland, the nation’s premier new and pre-owned auto buying service, to bring you an extensive database of vehicles with the features and pricing you want. Their experts will handle every step of the buying process and deliver your new car to you. Learn more about Autoland or call 800.234.6999 for more info. With the right amount of Auto Insurance, you can get behind the wheel with confidence. Mission Fed has partnered with LiveSmart Insurance Services, LLC to offer Auto, Home and Life insurance services to our members. LiveSmart will do the work for you, getting multiple quotes from major carriers to help make sure you have the right coverage and can save money. Protect your car, boat, motorcycle, RV, ATV, even snowmobile—and get coverage in Mexico. We conducted a survey that asked 400 San Diegans how they shop for and use their vehicles, and the results were interesting. For example, the numbers showed that more than 50 percent of participants plan to use a car loan to finance their next auto purchase. View our infographic and full length study for our other surprising discoveries and learn how Mission Fed aims to help customers during every step of their auto purchasing experience with affordable credit union car loans. The loan amount: Know how much you will need to borrow and how much you can afford to put toward a down payment. The APR: Your Annual Percentage Rate can vary based on credit and other qualifications, but a lower APR saves you money. The loan term: While a longer loan term can lower your payment, it can also mean that you end up paying a lot more interest over time. You’ll want to look for the right balance of term length and loan amount, plus the best APR you can find. This will help you achieve a payment you can afford each month and avoid paying more than you need to in the long run. Your success is our bottom line, and that means finding the right car and right Credit Union Car Loan for you. At Mission Fed, we make it easy to purchase the vehicle you want with our Auto Loans in San Diego. 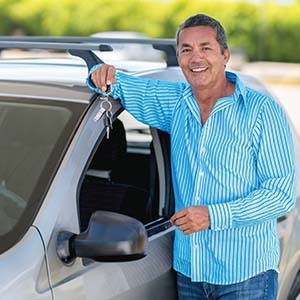 With Mission Fed’s flexible financing, competitive rates and prompt credit decisions, you’ll discover how simple and convenient applying for Auto Loans can be. When you get an Auto Loan with us, you’ll enjoy low rates with Mission Fed’s Bottom Line Rates every day. 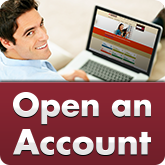 Get started and apply for your Online Auto Loan, or apply over the phone or in person at any of our branch locations. Get ready to hit the road with a Credit Union Auto Loan from Mission Fed. Want to know more about how car loans work? Get more answers to your car buying and financing questions in our free Auto Loan Guide. Purchasing a new or used car is an exciting process, and Mission Fed is here to help get you into the vehicle of your dreams. Whether you’re looking to buy from a dealership, a private seller or use a car buying service like Autoland, our Auto Loans in San Diego will help prepare you to go about your local car-buying search with confidence. We offer great rates, flexible terms from 36 to 84 months and up to 120% financing for your Auto Loan. 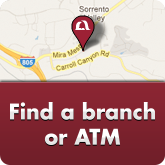 We also offer convenient payment options, including online, by phone or automatic withdrawal. Whether you’re a new or existing customer with Mission Fed, our friendly customer service team is here to help with your short- and long-term needs when it comes to Car Loans in San Diego or any of our other financial services. We’ll work closely with you to determine your preferred financing options for a Credit Union Car Loan that works with your budget. We also offer a variety of other car buying features for our Credit Union Car Loan customers, including Autoland Car Buying Service, Mission Skip-A-Pay for approved customers, a host of insurance products† and many more benefits. Our members’ success is our priority. Contact us today to learn more about Auto Loans from Mission Fed and get started today. We look forward to helping you get the right car and right loan for you. I love Mission Federal because they were THE lowest rate available when I bought my new car. As well, they were so easy and enjoyable to work with when doing the loan process. -David L.
After you’ve gathered these items, you can apply in as little as 10 minutes by using our fast online application, or by applying over the phone or in person by appointment at any Mission Fed branch. When you apply, you’ll receive a request authorizing the lender, Mission Fed, to get a credit report to confirm the provided information. It’s a good idea to review your credit history before applying so you know what to expect. If your credit isn’t in the shape you’d like it to be, you may need a co-signer. 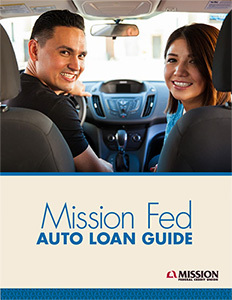 If you’d like to refinance an existing car loan in San Diego, Mission Fed can help. All San Diegans are welcome to apply to refinance with us and save money with our Bottom Line Auto Loan Rates Every Day. Just as you would for any other Auto Loan, simply apply online, by phone or in person with an appointment at any of our branches. The refinancing application process is quick and easy, and you’ll have a response in no time. We can help you save more money with a refinanced Credit Union Auto Loan. Car loans allow you to borrow money from a lender to buy a car. Like other loans, you pay back the borrowed money over time, with interest. Because interest is an essential part of your costs, getting the lowest Annual Percentage Rate (APR) on your loan will save you money over the life, or term, of your loan. Credit Union Car Loans, like Mission Fed’s Auto Loans, often have lower interest rates. When you’re thinking about applying for a Car Loan in San Diego, it’s a good idea to know how much you’re likely to pay each month with today’s interest rates. This Auto Loan Calculator allows you to make adjustments in your potential down payment, interest rate and loan term to help you choose the right Credit Union Auto Loan for you. You can also use it to calculate your monthly payment, total interest paid, how long you’ll make payments on your loan and more. In order to get approved for a Car Loan, you’ll need to provide proof of an adequate and steady income and good credit history to show that you’ll be able to make your monthly payments. In addition to the items listed above in “How to get a Car Loan,” you may also need to provide proof of insurance, proof of residence and a satisfactory credit rating. Lenders are looking for evidence that you’ll make your monthly payments consistently and on time, so if you’re considering applying for a Car Loan in San Diego soon, make sure you maintain good credit and payment habits. It’s also smart to review your credit history to ensure that you can correct any mistakes and explain any irregularities to lenders if necessary. Review our Credit Guide for more information about how to maintain a positive credit score. Learn More About Auto Loans with These Great Blog Posts! 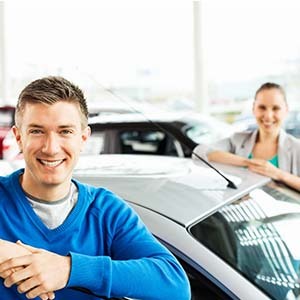 Your auto-buying experience is our bottom line: Need a car loan in San Diego but don’t know where to start your auto-buying experience? We’re here to help! Read VP Consumer Lending Operations Liz Schrock’s blog on what you need to consider when buying a car, and why getting an Auto Loan with Mission Fed makes the experience a smooth ride. 5 tips and an infographic for buying a new (or used) car: Besides choosing a San Diego Auto Loan from Mission Fed, you have other decisions that will shape your car-buying experience. Whether it’s your first car or you’re ready to look for new wheels, let Mission Fed help you with these five tips and an infographic on your roadmap to buying a new or used car. Need an Auto Loan? Mission Fed has you covered: It can be easy to get overwhelmed when you’re looking at car loans in San Diego, but Mission Fed can help you get the Credit Union Auto Loan that’s right for you. Wondering, “How do car loans work, anyway?” Let us walk you through everything we offer to make the process as easy as possible. Mission Fed Loan Options Infographic: Curious about what Mission Fed offers besides car loans? This infographic provides a quick glimpse into how Mission Fed can assist you with your other financial needs. 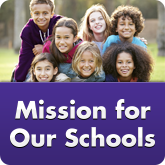 †Mission Fed has partnered with third party providers to offer products and services. Purchase is voluntary and will not affect your application or the terms and conditions of your loan. The insurance offered is not insured by the NCUA nor guaranteed by Mission Fed. Please refer to individual product links for additional information. Skip a loan payment and use your extra cash to get the job done. Skip a loan payment and use your extra cash to get the job done for a low $45 fee per skip. Save time and money with an Auto Loan Express Check, available on qualified Auto Loans. We’ll give you a 0.25% discount off your approved rate if you use a Mission Fed Auto Loan Express Check to make your purchase by the expiration date on the check. Get a 0.25% Auto Loan Rate Discount when you buy through Autoland and get your loan from Mission Fed. Plus, you can defer your first payment for 90 days.